The Last Kingdom will continue its reign. Netflix just announced it has renewed the TV show for a fourth season. 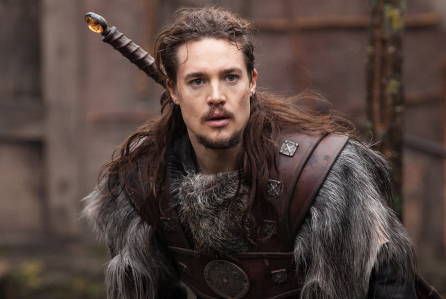 Based on Bernard Cornwell’s novel series The Saxon Stories, the historical drama follows Uhtred of Bebbanburg (Alexander Dreymon), the son of a 9th Century Saxon nobleman. After Danish invaders seize six of the seven kingdoms making up what we now think of as England, only Wessex still stands. The cast also includes David Dawson, Emily Cox, Ian Hart, Tobias Santelmann, Thure Lindhardt, Millie Brady, Alexandre Willaume, Julia Bache-Wiig, Joseph Millson, and Peter McDonald. What do you think? Do you watch The Last Kingdom? Are you glad it’s coming back? More about: Netflix TV shows: canceled or renewed?, The Last Kingdom, The Last Kingdom: canceled or renewed? Best show on Netflix ! So well written and cast. Awesome news ! Netflix if your reading take this series to the end ! Season 50 if that’s what it takes, I would cancel my Netflix account if you ever cancel this show before the end. Long live Uthred ! Great news! The Last Kingdom is a wonderful story and I love watching this show. Shrewd move by netflix – the lasr kingdom is an excellent show – characters believable and fully make you care ! The screen writting and acting is first class – just need to spread the word and they will have another blockbuster. I couldn’t stop watching this series. Love the characters and the actors who have done an outstanding job. Could not be more happy season 4 is upon us. Please do not take long I’m anxiously waiting. So excited! It’s one of the best series available right now! Dare I say, better than Game of Thrones. Well done writers, cast and crew. I fell in LOVE with this show! Finished all 3 seasons in less than 3 weeks! SO glad it’s getting a 4th season! Did all 3 seasons in 3 binge-watching days & up-all-nighters! Rocks! I watched the Last Kingdom three times through, and am now watching the fourth time! I am mad for it! I wish it would have many more seasons! As long as Uthred is a live, I will watch!!!! My wife and i have binge watched this show and absolutely love it!!!! Entertaining, great acting, love the story line, history, want more seasons.